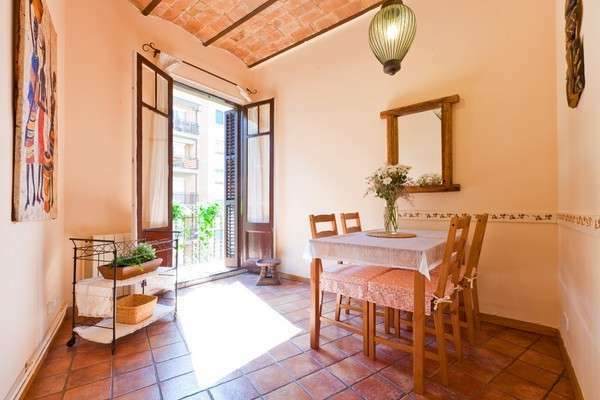 This airy, homely apartment is located in a fantastic area of Barcelona. Close to Plaça Espanya this is a lively part of the city, with many bars and restaurants as well as the Arenas bull ring shopping centre, the FIRA conference venue and Montjuïc all within easy walking distance. This is also something of a transport hub meaning that it´s possible to get to just about any part of the city, and even beyond, very easily. The apartment itself is beautifully decorated and is comfortably able to accommodate five people. There is a fully equipped kitchen, a lovely lounge, a bright dining area and a clean, modern bathroom. There is even a small balcony to let in some of that wonderful Spanish sun! The apartment provides everything you may need to be sure of a comfortable stay: Internet, TV, heaters, and more.